James Swensen's book, "In a Rugged Land." Though photographers Dorothea Lange and Ansel Adams were contemporaries and longtime friends, most of their work portrays contrasting subject matter. Lange’s artistic photodocumentation set a new aesthetic standard for social commentary; Adams lit up nature’s wonders with an unfailing eye and preeminent technical skill. That they joined together to photograph Mormons in Utah in the early 1950s for Life magazine may come as a surprise. 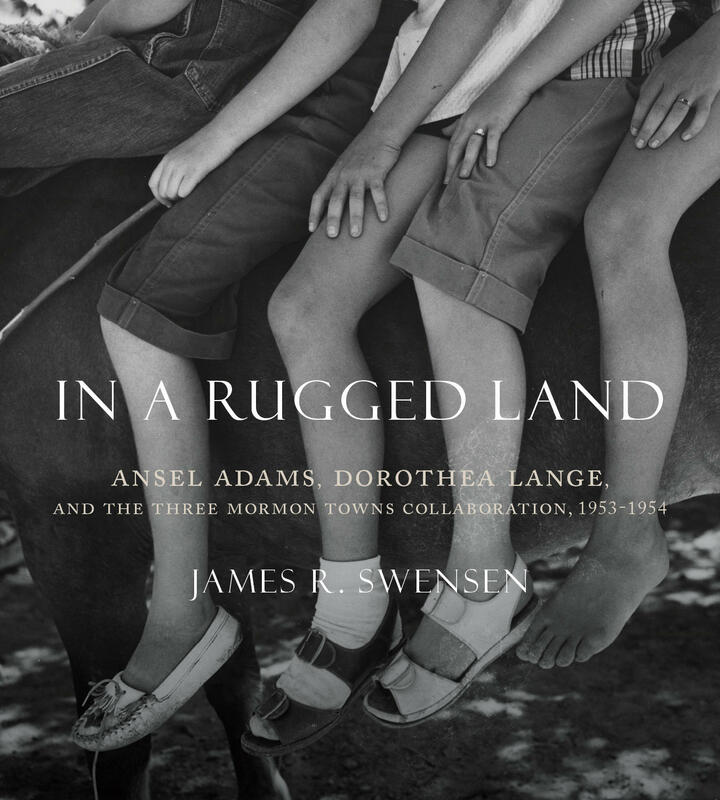 In a Rugged Land examines the history and content of the two photographers’ forgotten collaboration Three Mormon Towns. Looking at Adams’s and Lange’s photographs, extant letters, and personal memories, the book provides a window into an important moment in their careers and seeks to understand why a project that once held such promise ended in disillusionment and is now little more than a footnote in their illustrative biographies. Swensen’s in-depth research and interpretation help make sense of what they did and place them alongside others who were also exploring the particular qualities of the Mormon village at that time. James Swensen on Access Utah. James R. Swensen is an associate professor of art history and the history of photography at Brigham Young University. He is the author of Picturing Migrants: The Grapes of Wrath and New Deal Documentary Photography and the recipient of the 2016–2019 Butler Young Scholar Award from the Charles Redd Center for Western Studies. In 2012, photographer Matika Wilbur sold everything in her Seattle apartment and created Project 562, which reflects her commitment to visit, engage with and photograph all 562 plus Native American sovereign territories in the United States. With this project she has traveled hundreds of thousands of miles, many in her RV (which she has nicknamed the “Big Girl”) but also by horseback through the Grand Canyon, by train, plane, and boat and on foot across all 50 states. For nearly 2 decades, professional photographer Jim Herrington has been working on a portrait series of influential rock and mountain climbers. The resulting book, “The Climbers” documents these rugged individualists who, from roughly the 1930s to 1970s, used primitive gear along with their wits, talent, and fortitude to tackle unscaled peaks around the world.